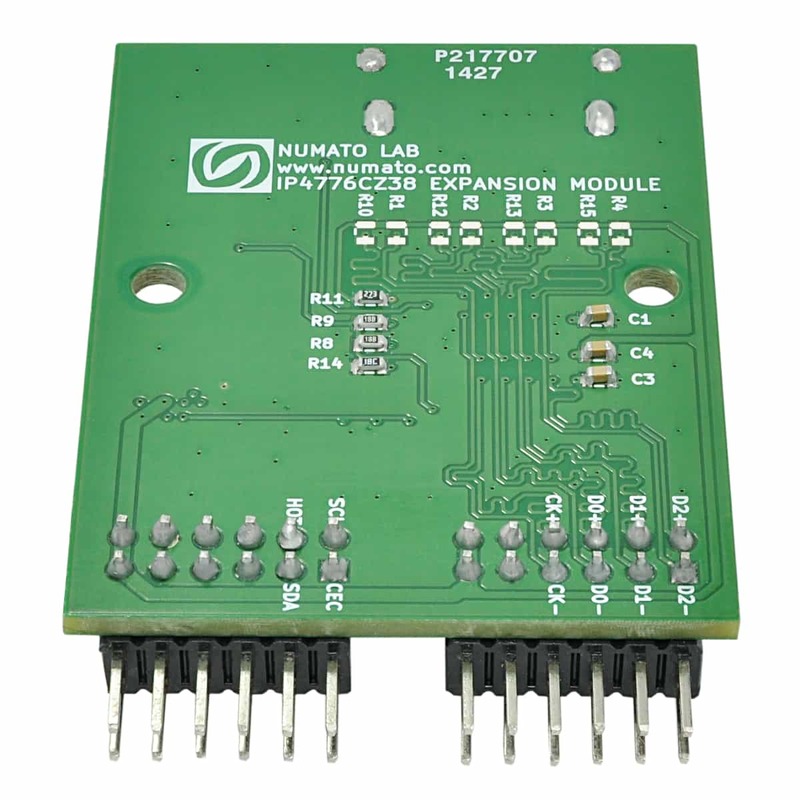 IP4776CZ38 HDMI Module features a buffered DVI-D/HDMI interface with HDMI buffer IP4776CZ38 for better signal strength and signal integrity. 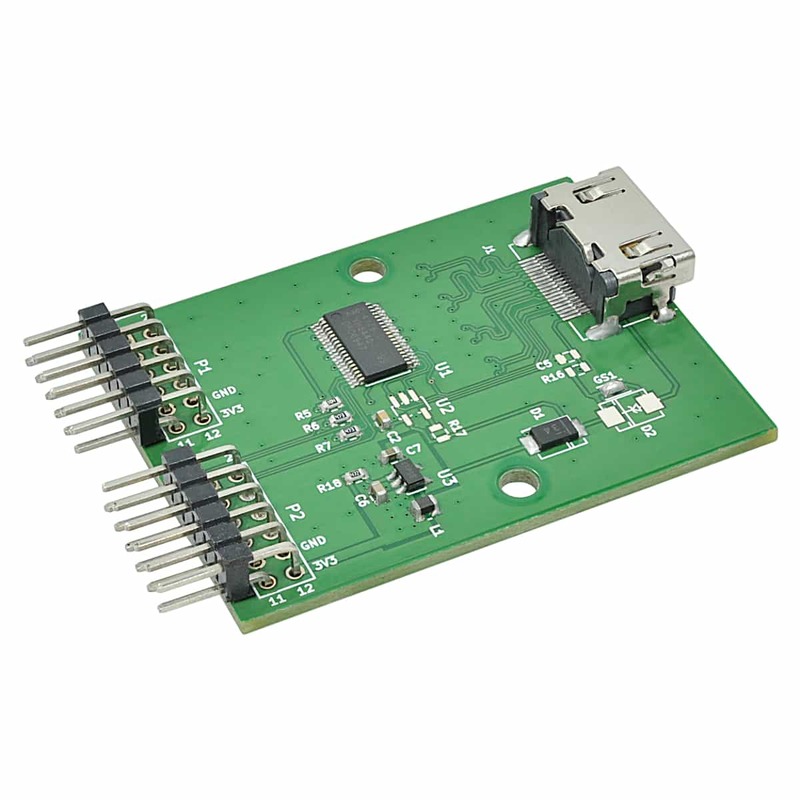 The on board DVI-D/HDMI interface can be used to generate high quality HD video up to 1080p. 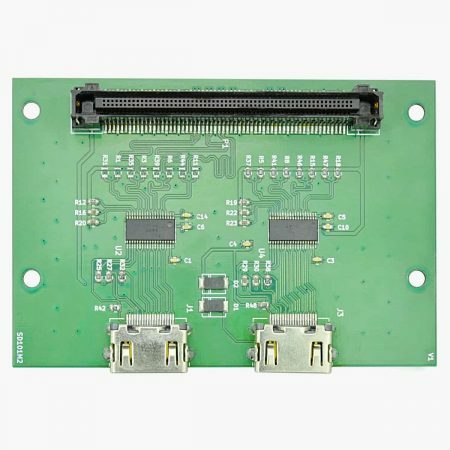 IP4776CZ38 HDMI Module features a buffered DVI-D/HDMI interface with HDMI buffer IP4776CZ38 for better signal strength and signal integrity. 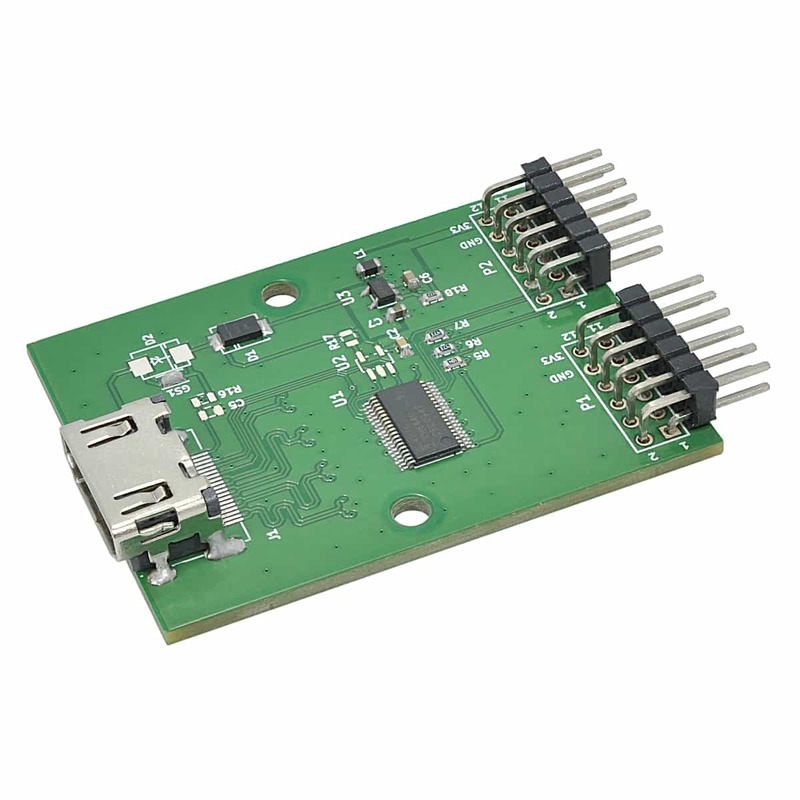 The on board DVI-D/HDMI interface can be used to generate high quality HD video up to 1080p. 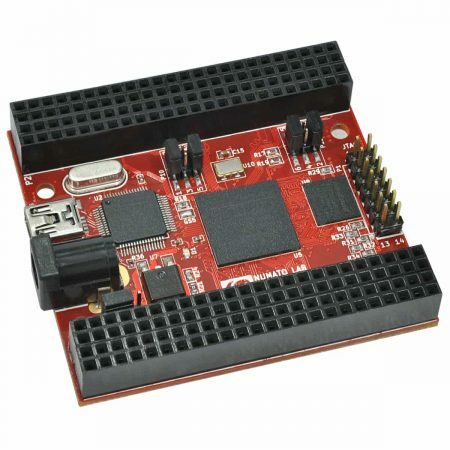 This module is designed to be used with Numato Lab’s FPGA boards featuring a 2×6 pin Expansion connector. 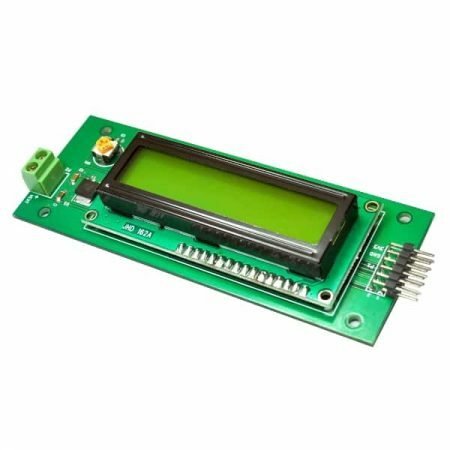 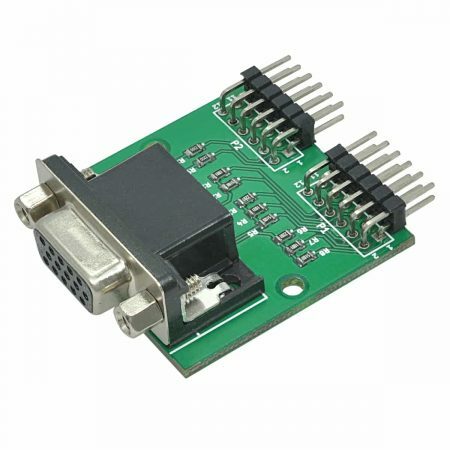 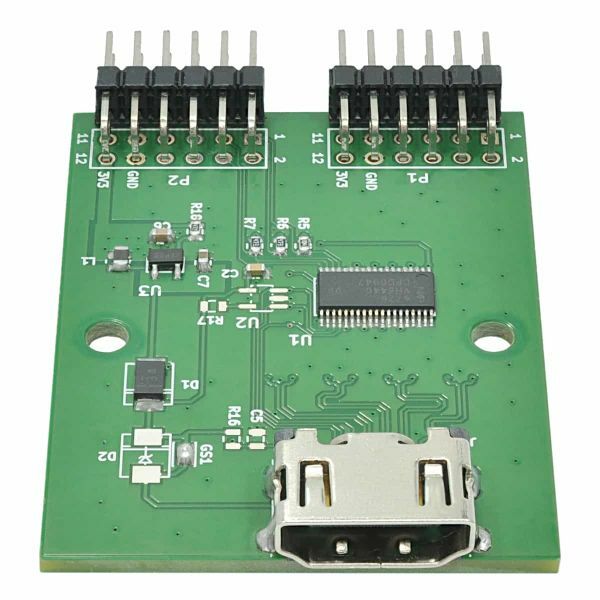 It can also be used with other boards and connector types by using manual wiring.